1) On 11/05/2018 at 9:48 AM, during a motor vehicle stop, Secaucus Police arrested a 36 year old male, Juan Dominguez-Peralta of Yonkers, NY for Possession of CDS believed to be marijuana [2C:35-10A(4)]. Mr. Dominguez-Peralta was served his complaint and was released from custody. 2) On 11/05/2018 at 11:29 PM, during a motor vehicle stop, Secaucus Police arrested a 24 year old female, Yannah Taylor of Jersey City, NJ for an outstanding warrant out of Cranford, NJ in the amount of $750.00 and five outstanding warrants out of Jersey City, NJ totaling $500.00. Cranford PD did release Ms. Taylor on her own recognizance. Ms. Taylor posted bail for the remaining warrants and was subsequently released from custody. 3) On 11/06/2018 at 4:30 PM, Secaucus Police responded to the Essex County Jail to take custody of a 28 year old male, Vincent Tene of Newark, NJ for an outstanding warrant out of Secaucus, NJ in the amount of $5,000.00. Mr. Tene was unable to post bail and was transported to the Hudson County Jail. 4) On 11/07/2018 at 8:53 PM, Secaucus Police responded to Walmart on a report of a shoplifting. During the investigation, the police arrested a 19 year old female, Sabbina Sherman of Jersey City, NJ for shoplifting [2C:20-11b(1)]. Ms. Sherman was served her complaint summons and was released from custody. 5) On 11/08/2018 at 8:51 AM, Secaucus Police responded to the Essex County Jail to take custody of a 46 year old male, Juan Medranda of Bronx, NY for an outstanding warrant out of Secaucus, NJ in the amount of $750.00. Mr. Medranda was unable to post bail and was transported to the Hudson County Jail. 6) On 11/08/18 at 7:53 PM, Secaucus Police responded to the area of Meadowland Parkway/ American Way on a report of a motor vehicle accident. During the investigation, police arrested a 60 year old male, Ryan Sabate of Jersey City, NJ for Driving While Intoxicated [39:4-50]. Mr. Sabate was further charged with Reckless Driving [39:4-96]. Mr. Sabate was served his summonses and was released into the custody of a responsible adult. 7) On 11/09/2018 at 5:50 PM, Secaucus Police responded to Walmart on a report of a shoplifting. 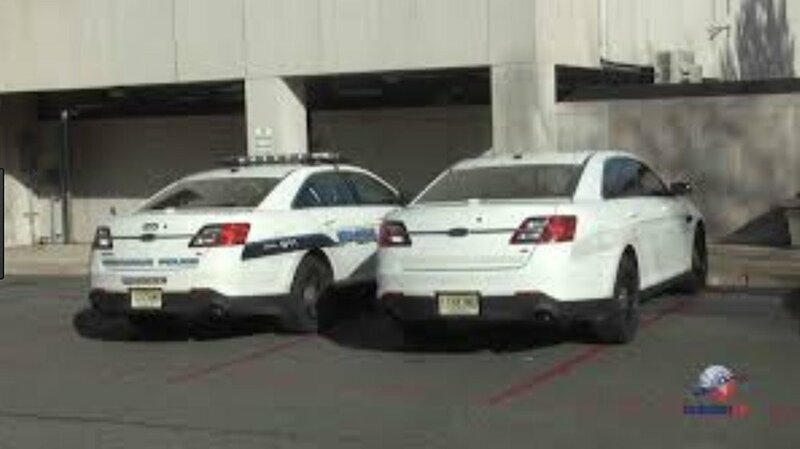 During the investigation, the police arrested a 55 year old female, Jacquelin Rodriguez of Clifton, NJ and a 16 year old female Juvenile of Clifton, for Shoplifting [2C:20-11B(1)]. Ms. Rodriguez was also found to have an outstanding warrant out of North Bergen, NJ in the amount of $363.00 and an outstanding warrant out of Union City, NJ in the amount of $185.00. Ms. Rodriguez was able to post bail for the warrants, was served her complaint summons and was released from custody. The Juvenile was released into the custody of a responsible adult. 8) On 11/09/2018, in an ongoing effort to combat vice crimes within the Town of Secaucus, the Secaucus Detective Division arrested the following individuals; At 6:39 PM, Secaucus Police arrested a 32 year old female, Angela Whitted of Newfield, NY for Engaging in Prostitution [2C:34-1B(1)] and Promoting Prostitution [2C:34-1B(2)]. Ms. Whitted was served her complaint summons and was released from custody. At 7:40 PM, Secaucus Police arrested a 26 year old male, Naveen Siranji of Hackensack, NJ for Engaging in Prostitution [2C:34-1B(1)]. Mr. Siranji was served his complaint summons and was released from custody. 9) On 11/09/2018 at 7:06 PM, Secaucus Police responded to the Dunkin Donuts at 1351 Paterson Plank Rd on a report of a suspicious person. During the investigation, the police arrested a 45 year old male, Steven Rosenfeld (Non-Domicile) for Possession of CDS believed to be Methamphetamine [2C:35-10A(1)] and Possession of Drug Paraphernalia [2C:36-2]. Mr. Rosenfeld was transported to the Hudson County Jail. 10) On 11/11/2018 at 5:53 PM, Secaucus Police responded to the area of Route 3 East on a report of a motor vehicle accident. During the investigation, the police arrested a 39 year old male, Charles Carey of Clark, NJ for Driving While Intoxicated [39:4-50]. Mr. Carey was further charged with Reckless Driving [39:4-96] and Open Container of Alcohol in a Motor Vehicle [39:4-51B]. Mr. Carey was served his complaint summonses and was released into the custody of a responsible adult.